Cyprian Shilakoe, unlike most of the first group of artists at Rorke’s Drift who preferred working in linocut, concentrated on producing etchings that were often combined with aquatint. He was closely associated with Dan Rakgoathe (qv.) and, like him, his work has a profound visionary quality. The atmospheric, dream-like effect in Loneliness (plate 201), an etching and aquatint dated 1971, is typical of Shilakoe’s work. This typical effect is achieved by Shilakoe’s masterly use of aquatint. Instead of using it in large, tonal areas, he preferred to apply the aquatint selectively, resulting in the rich, lustrous quality of his prints. The elongated figures in this particular print have a sense of fragility and are located in a setting which is not descriptive or naturalistic, but one in which the very landscape embodies a sense of loneliness. This otherworldly aspect of Shilakoe’s work is tempered by the fact that he also wished to record the events of his time and the experiences of black people under apartheid, as well as their traditional legends and myths. Whereas most of Shilakoe’s contemporaries recorded the harsh realities of day to day life, he preferred to depict these events in a highly personal and symbolic language. It is also apparent that Shilakoe was aware of the work being produced at the Polly Street Art Centre in Johannesburg, particularly that by Julian Motau (qv.). In his tragically short artistic career Shilakoe’s output was enormous – he produced an estimated 80 prints and a number of wooden sculptures between 1968 and his death in 1972 as a result of a car accident. Born Barberton, 1946; died Krugersdorp, 1972. Training 1966–1969: Evangelical Lutheran Art and Craft Centre at Rorke’ s Drift, KwaZulu-Natal. Exhibitions 1970: Solo exhibition, Goodman Gallery, Johannesburg. 1973: Memorial exhibition, Goodman Gallery, Johannesburg. 1990: Posthumous exhibition, Standard Bank National Arts Festival, Grahamstown. 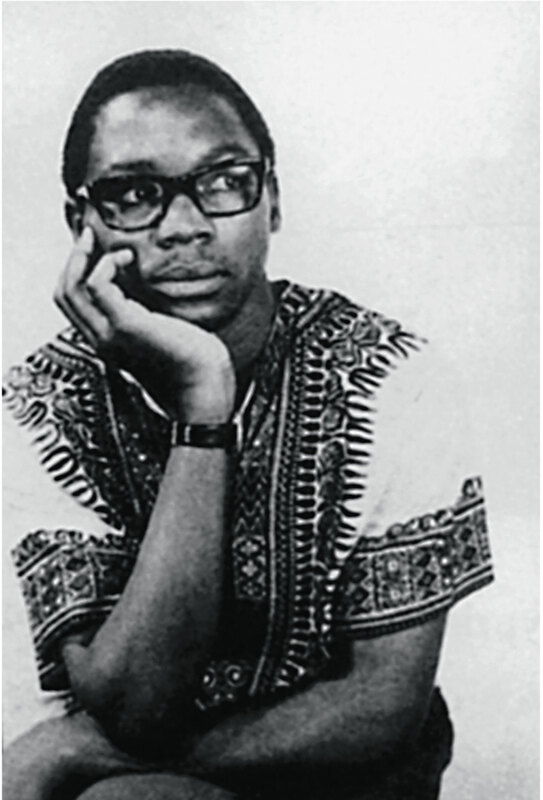 Awards 1971: First prize for printmaking, African Art exhibition, UCLA, Los Angeles. Collections Iziko South African National Gallery, Cape Town; Johannesburg Art Gallery; University of Fort Hare, Alice; Durban Art Gallery; Sandton Municipal Collection; Sanlam Art Gallery, Bellville, Cape. Photograph of Cyprian Shilakoe by Otto Lundbohm. Source: Philippa Hobbs & Elizabeth Rankin. 2003. Rorke’s Drift: Empowering Prints. Double Storey Books: Cape Town. p. 98.